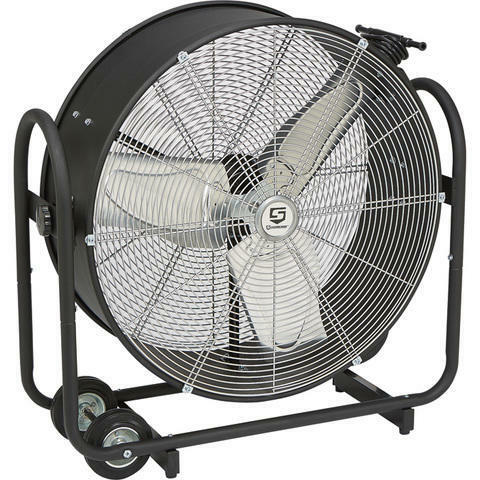 This 24 inch fan has two speed settings and it delivers a whopping 8000 CFM which will cool a large area pretty quick! It also has a tilting feature to direct the air exactly where you need it for your comfort! It makes a great addition to our 20x20 or 20x40 tents with panels.